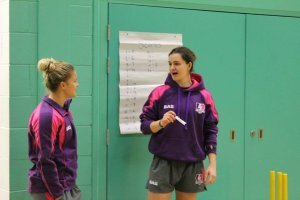 Sport England's Small Grant programme has produced success with the Derbyshire Sport Trust's This Girl Can Coach programme in getting women qualified to coach and as a result getting people more active. The project offered support to 26 women coaches, of these 18 went on to take coaching qualifications. The coaches have since increased participation in sport by 258 people exceeding the target set by over 79%. The diverse range of activities supported by the programme include athletics, football, trampolining, fitness classes, horse riding, cheer leading, dance, tumbling, netball, javelin, rounders, climbing and archery. One of the members of the programme has said, "This Girl Can Coach' has been so beneficial to both my personal and coaching development. I have done beyond so much more than I thought I was capable of doing. Not only has it given me access to qualifications recognised in the ever growing fitness industry, but more importantly it has improved my confidence. "I never thought I would be able to lead a large group of girls, especially girls of my own age, all on my own but the support has been overwhelming. I have thoroughly enjoyed planning each and every session just as much as delivering them. It has also opened up future career ideas." Coaching can create a whole new career and way of life. It also isn't limited to the traditional sports. You don't have to be the best in the sport but just need enthusiasm and a desire to work with and help others achieve their potential.